Even after we have failed God, as Nebuchadnezzar did, as Peter did—as we all do—forgiveness and restoration are available. Observe how the king’s stump will remain, so that new growth may come forth from roots and stump, as it would from Jesse’s stump (Isa 11:1). 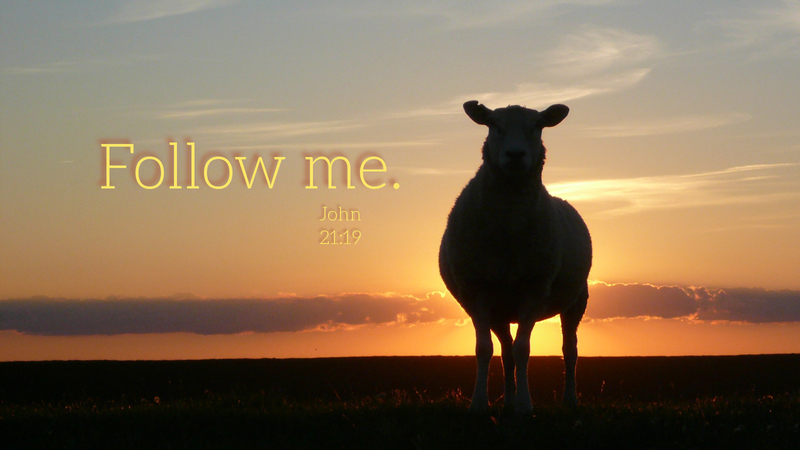 See how Peter is brought back into full fellowship with his Lord, and set back on the pastoral path that begins with following Christ anew. It is no wonder that Peter was focused on focusing others on discipleship. Having experienced restoration, he knew the joy of a renewed relationship with the Lord. So, always having a view of “the end of all things” being near, he exhorts us to follow Jesus with sober minds, self-control, prayer, love, hospitality, and service—all with the strength that God so abundantly provides, instead of in one’s own meager power, so that the Father may be glorified through Christ who is so powerfully at work in us (Col 1:29). Prayer: Father, give me an ear to listen to your Son and follow him. Amen. I miss the clickable links to the Bible readings. The program we used before does not work well on the new site. After reviewing all of the available programs, I have settled on the one you will find working here now. It has the added benefit that you can create a free account with Biblia (Crossway) and be able have a commentary show up next to the Scripture. I hope this helps you, Lois.